Six weeks down, fourty-six to go! This week's piece was infulenced by our recent viewing of the Coen brother's take on True Grit (definitely worth a viewing or three). 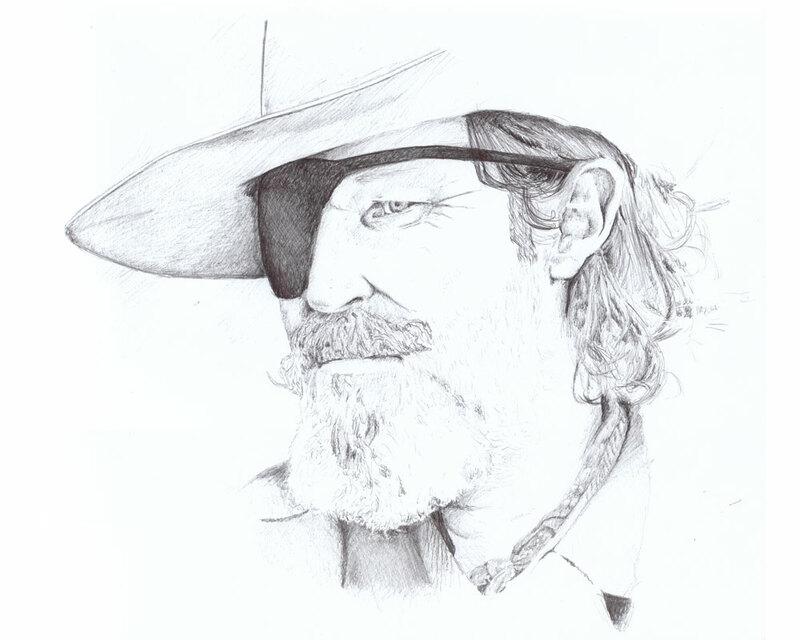 I hadn't really intended on doing a portrait of Jeff Bridges but I thought it'd be an interesting challenge so I gave it a shot. After a few false starts, I got into the swing of things and after just a couple of hours, I had the vast majority of it complete. In case you missed my various twitterings on the matter, I made a time-lapse video of this initial stage. Not long after I posted this video on Sunday night, I started to come down with a God-awful bout of flu-type stuff so I didn't finish it until last night. I think this is the best piece I've produced so far and sets the bar higher for the rest of the project.